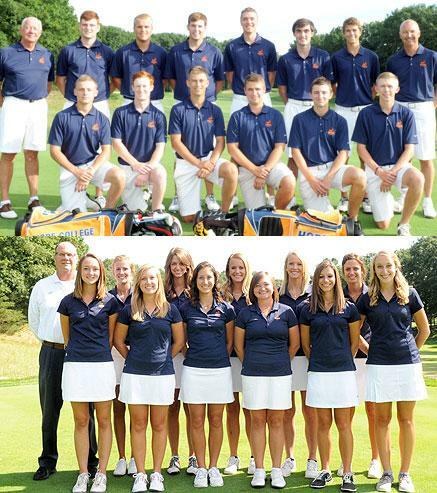 Hope has swept the golf championships of the Michigan Intercollegiate Athletic Association by winning both the men's and women's titles. On Oct. 6 the men's team won the championship for a second consecutive year and for the 19th time in school history. And then on Oct. 11 the women's team captured their first title since 2001 and the seventh time ever. It is the second time in school history that both the men's and women's golf teams have been MIAA golf champions in the same season. The other time was in 2001. It is the third time in MIAA history that it has happened. The other was by Olivet in 2008. The fall Arts and Humanities Symposium at Hope College on Friday, Oct. 10, will feature reflections by scholars from multiple disciplines on Rene Girard’s work on violence and the sacred. Hope junior Lauren Hazekamp has been selected the Sports Imports/American Volleyball Coaches Association NCAA Division III National Player of the Week. Wednesday, Oct. 8, marked 10 years since the dedication of the A. Paul Schaap Science Center as one of the nation’s premiere undergraduate science education facilities.